Last night was one of those nights when you come home and declare “that was the best night ever!” Why so? Because we were busy eating (and drinking!) our way around Auckland’s pop-up of the year. We are—of course—talking about none other than The Botanical Bazaar. 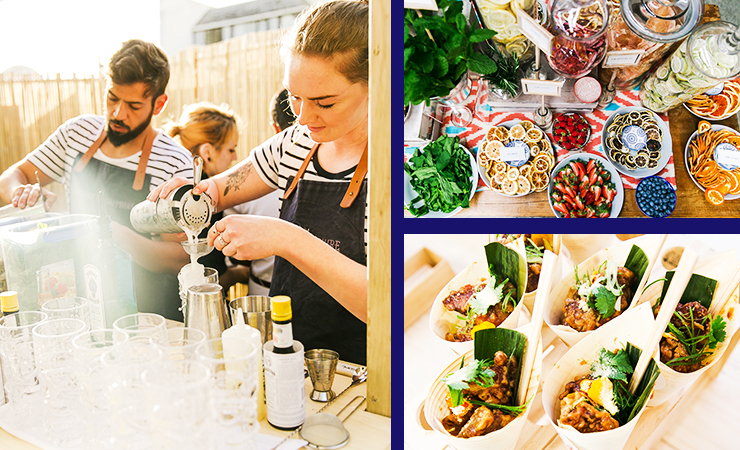 Brought to us by Bombay Sapphire, the unmissable pop-up showcases cocktails and street food inspired by the bustling markets and trade route of the Silk Road. It’s a treat for the senses as event-goers—including our very lucky selves—were magically transported to far-off lands. Here’s everything we loved about The Botanical Bazaar. Follow a narrow staircase to where the magic happens... the bustling bazaar! Here you’ll find five market stalls—each inspired by a country where Bombay Sapphire sources its botanicals. Arrive thirsty because each stall showcases a cocktail (and street food dish!) from said countries. Kickstart your journey with Chinese dragon tiki sling bursting with pineapple or, if you’re feeling daring, check out Germany’s beer cocktails. We repeat: beer cocktails. 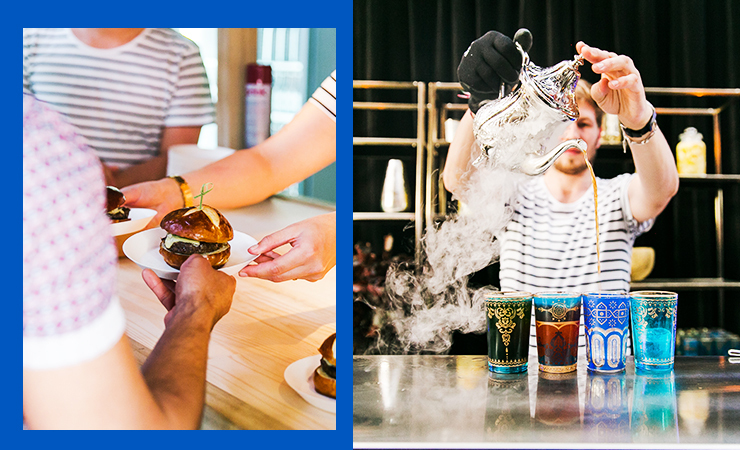 Our fave was the sunset sapphire tea inspired Morocco’s exotic flavours. Crafted with dry ice (anyone for a cocktail and a show? ), the drink pairs red bush tea with chocolate and coriander. Garnished with ALL the mint, this refreshing cocktail is not to be missed—trust us. If you’re all about doing your own thang, The Botanical Bazaar has your back… or should we stay cocktail?! There’s a drink-making station (dream come true!) that allows you to create your very own G&T. Paint your glass, pop in some ice cubes and fill with G&T on tap. Yep, that’s right. There’s G&T on tap (another dream come true, right?!). Garnish your cocktail with fruit, herbs and spices and toast to the wondrous night. You’ll be a master mixologist in no time! At the helm of each stall, you’ll find Jamie Johnston aka the mastermind behind Auckland’s Judge Bao. He and his talented team are whipping up five equally delish dishes especially for the event. Our advice? Try them all. Eat your way through sweet and sour pork from China, fragrant migas from Spain and finger-lickin’ good harissa chicken from Morocco—the filo pastry nest is so Instagrammable! A special shout-out must be made for Italy’s arancini. The deep-fried morsels of happiness were bursting with zesty orange, smooth vanilla and oozing mozzarella. What a show stopping-combo! We’re telling you now: there’s A LOT to take in a The Botanical Bazaar. There’s something to see, do and experience in every direction. Live music floats from the mezzanine above and the smell of foraged flowers (and fragrant food!) fills the air. Your taste buds are not only taken on a culinary journey down the Silk Road, but they’re also introduced to Bombay Sapphire’s ten exotic botanicals. Arrive hungry, thirsty and curious. You’ll want to experience it all! We’ve said it before and we’ll say it again: this is the pop-up of the year. Here for a good time and not a long time, The Botanical Bazaar runs from tonight until Sunday. Don’t stay at home and get FOMO. This pop-up is not to be missed.